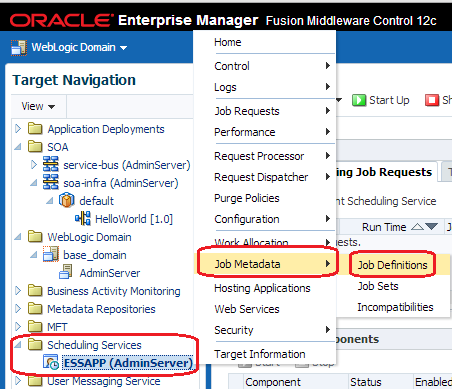 In Previous post, we discuss about new ESS which is introduced in Oracle SOA 12c. 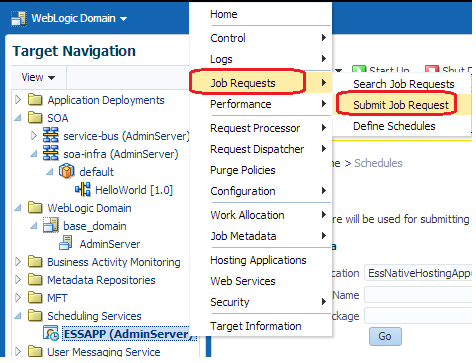 As mentioned in previous post, we can schedule different type of Jobs from ESS but here we discuss only about SOA. 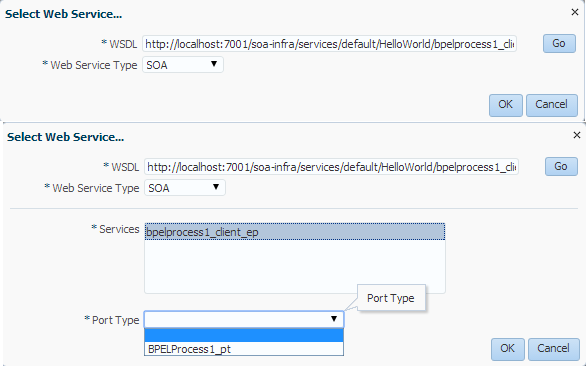 In this post, we see how to schedule HelloWorld SOA Composite which we created in previous post from ESS. 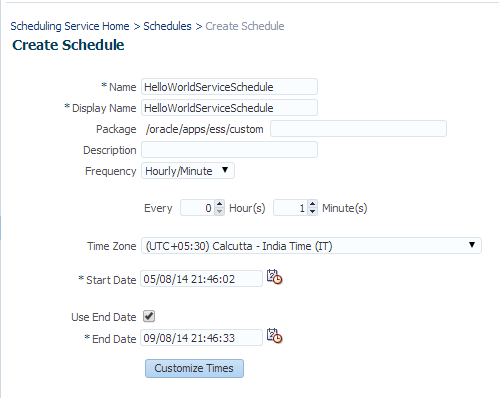 HelloWorld is Synchronous SOA service which is deployed on SOA server. 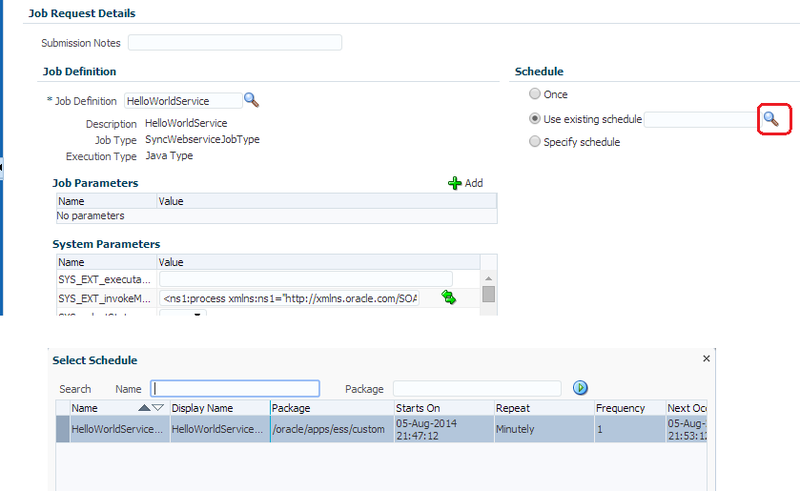 You can see the ESS application in EM console under scheduling server folder. There are main 3 steps that we need to perform to schedule a job. We discuss each step one by one. Click on create to define the new job. 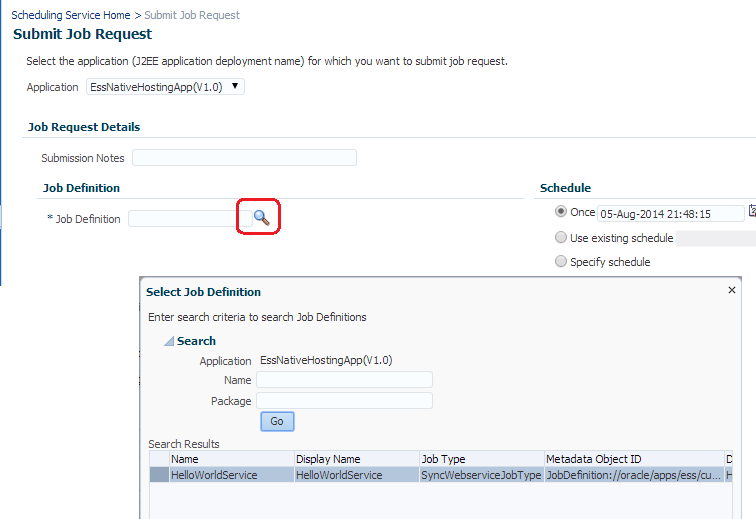 Enter the Job Name and display Name, also choose the Job type. 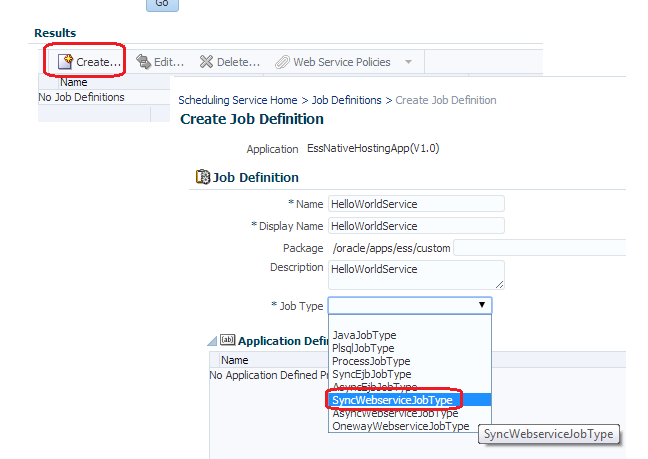 HelloWorld composite is synchronous SOA composite which we need to schedule so we choose “SyncWebserviceJobType” from drop down. Click on select web service button, this will open the pop-up box. 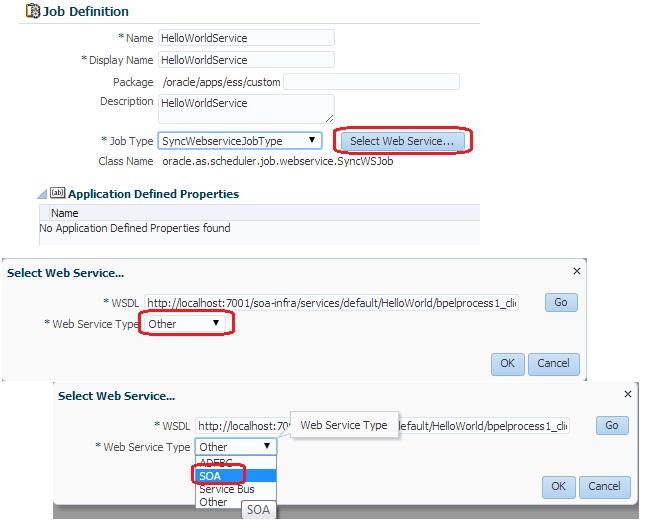 Provide HelloWorld Composite WSDL url and choose SOA as Webservice Type. Click on Services and choose port type. 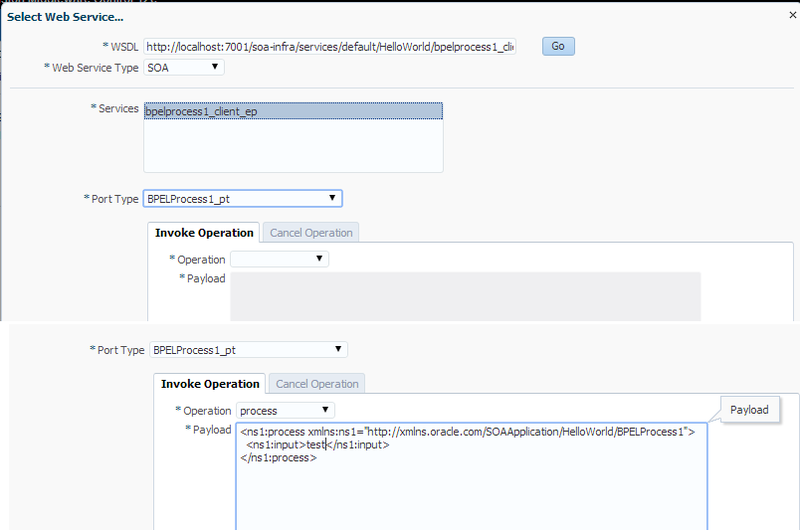 Modify the payload content as per your requirement. Click on create to define new schedule. Fill schedule name and define frequency of the schedule. Choose the Job which you want to schedule. Choose the job which we defined in first step. Choose the existing schedule. Choose the schedule which we define is second step. As we can see in below screen, HelloWorld is getting triggered after 2 minutes. 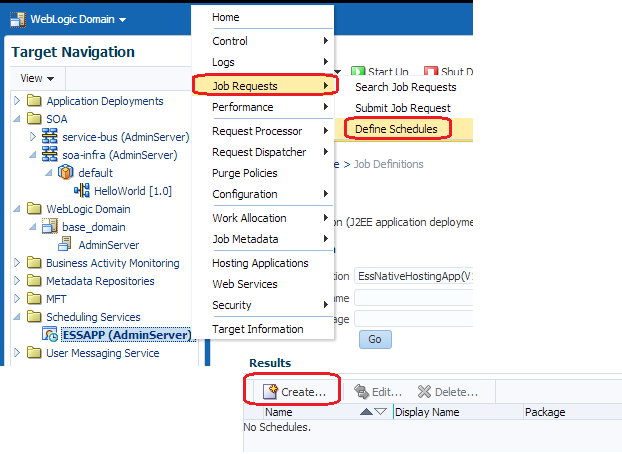 I am trying to schedule one Sample SOA composite, when i check in the EM , i am not seeing Scheduling Service Option , i have installed RCU also , please help me on this. You need extend your domain with "ESS plugin for em". Thanks. Scheduled my webservice in minutes!!! How to stop scheduler? I delete it, but it still works! Composite starts every 2 minutes! How to stop the scheduler service ? Please help, when i am canceling the job request its generating another one according to schedule. I deleted job defenation and scheduler both but it is still submitting the job. I have the same question. 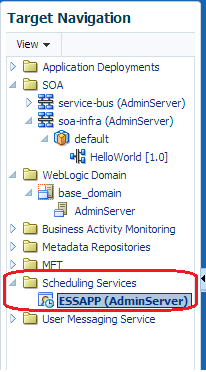 How to stop the Scheduler services? Thanks in advance.